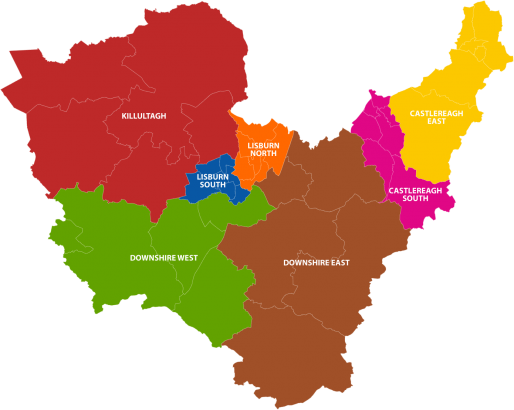 The Council is responsible for developing a Local Development Plan (LDP) for the Lisburn Castlereagh area, working with local people, to create a clear vision of how the Council area should develop and what it will look like in the years to come. On the 30th March the Council launched its Local Development Plan Preferred Options Paper (POP) and this marked the commencement of the eight week consultation period which closes on 25th May 2017. The Council has prepared a Preferred Options Paper (POP) as part of the local development plan process in accordance with Regulation 10 of the Planning (Local Development Plan Regulations) (NI) 2015. It is intended to promote debate on issues of strategic significance which are likely to influence the preparation of our new local development plan. It is also a key opportunity for the public to shape the future plan. The POP is a consultation paper intended to promote debate in relation to key strategic planning issues which will influence the preparation of the Council’s new Local Development Plan. It provides the vision, strategic objectives, key issues and a range of possible options on how the Council will deliver new development and planned growth for the Council area. The Council’s preferred options are indicated in the POP together with relevant justification. The POP is being published along with a number of other key supporting documents which are subject to an 8 week public consultation period. These documents include a Sustainability Appraisal Interim Report (incorporating Strategic Environmental Assessment), a Sustainability Scoping Report and an Equality Impact Assessment. download our response form and email it to LDP@lisburncastlereagh.gov.uk. The Council is keen to hear the views of its residents, businesses, community and voluntary groups on its Local Development Plan Preferred Options. A Sustainability Appraisal (SA) is a process that is undertaken during the preparation of the Local Development Plan. It promotes sustainable development by assessing the extent to which the emerging plan will help to achieve the environmental, economic and social objectives. A Strategic Environmental Assessment (SEA) is to ensure a high level protection of the environment and to integrate environmental considerations into the preparation and adoption of plans. Together, these processes will ensure that the options outlined in the Preferred Options Paper (POP) are the most appropriate and sustainable, having regard to the reasonable alternatives.